A tamarind plant can grow up to hundred feet tall and if properly cared for, it could live for more than 200 years! The tree often comes with a short trunk and with strong drooping branches attached to it. Its leaves are soft and airy, which makes the tamarind tree a highly wind-resistant plant. The tamarind plant belongs to the bean family and it produces a pod-like fruit with seeds and pulp inside. While the tamarind pulps are typically sweet & sour in taste, they often get sweeter as they ripen. The plant can grow best outdoor. Here’s how to grow tamarind tree from seed. The tamarind tree is a type of slow-growing tree. It’s capable of growing up to a height of 25 meters and with a circumference of 7 meters. If properly cared for, the tree could live for very long. In fact, it could grow to more than 200 years! The leaves of the tamarind plant are evergreen and could grow to 15 cm long. They usually come in 10 to 12 pairs per leaflets. Furthermore, the leaves of the tamarind tree resemble that of the leaves of an acacia tree. Belonging to the family of beans, the fruits of the tamarind tree are legumes. The fruit is brown in color and is slightly curved, measuring 10 to 15 cm long. Unlike other fruits, the acidity of the tamarind fruits will not decrease upon maturity. The pulp of the tamarind fruit consists of 70% carbohydrate, with only 3% protein and 1% fat. Now that you have some information about tamarind tree, it’s time to learn how to grow tamarind plant. So read the next steps. When looking for a suitable site to grow your tamarind tree, make sure you choose a site where it can receive full sunlight and where it can be protected from the cold especially when the plant is still young. Choose the south side of a slope to keep it protected. Otherwise, build your own cold protection to protect the plant during the first couple of years. 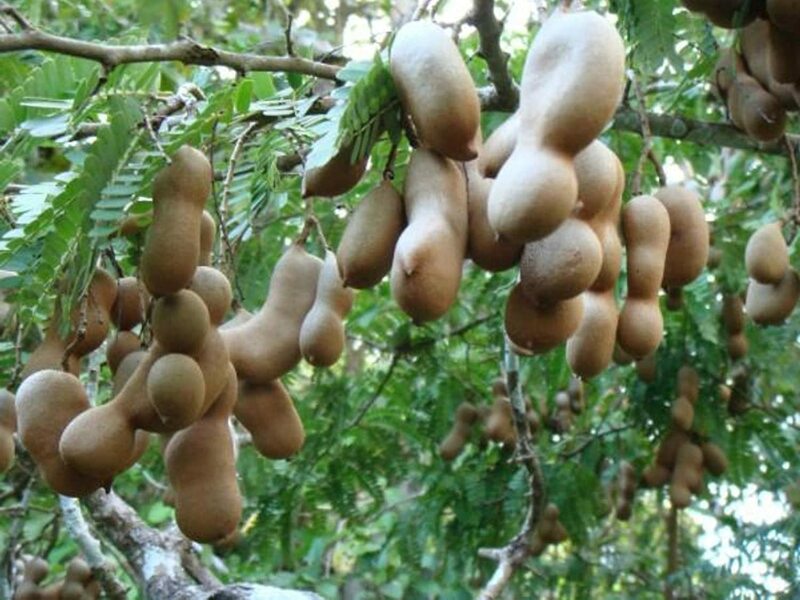 The tamarind tree can tolerate all kinds of soil, from rocky sandy soils to deep fertile soils. For as long as they are drained well, the plant should be able to grow. Moreover, the plant can withstand some salt spray. Therefore, there’s no problem planting the plant near seashores. When springtime comes, you can start planting the tamarind seeds. Dig a hole about 1/2 inch in depth to plant the seeds. The seeds collected from tamarind pods will remain viable for months. They should start germinating about a week after they are planted. If no seedling appears within two weeks from when you planted the tamarind seeds, try your luck again. When growing multiple trees, plant the seeds about 35 to 65 feet away from each other, depending on how fertile the soil is. Usually, if you plant them in very fertile soils, they can grow too large and would require ample space for them to spread. One of the most important steps on how to grow tamarind tree from seed is to ensure that you water the new plant on a regular basis. If possible, feed your plant with water every other day. However, make sure not to overdo it – just enough to moisten the plant. Keep the plant moist until such time that it grows to a few inches. Once your plant has grown, you can cut back on watering. 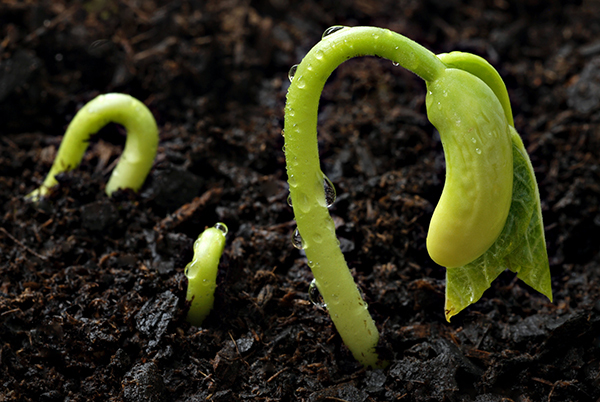 When the seedling begins to grow vigorously, you only need to water it once in every week. Again, don’t overwater the plant, just enough to keep the roots wet. When fall comes, gradually taper watering and stop when winter comes. When the first two seasons are over, the tamarind trees will only need watering during dry spells, which is when they start to drop off some leaves. During early spring, apply a slow-release fertilizer on your tamarind plant. If possible, choose a slow-release 8-3-9 NPK fertilizer. The numbers refer to the amount of nitrogen, phosphorus and potassium that’s present in the fertilizer. You can also use some other fruit tree formulations for the application of fertilizer. Take note that the tamarind tree will not require a lot of soil nutrients. However, the fertilizer should encourage new plant growth for the season. Refer to the packaging of the fertilizer for specific instructions on the amount of formulation. More importantly, water the plant deeply right after you apply the fertilizer. Using pruning shears, prune the tamarind trees during late winter. Make sure you sterilize your pruning shears with a rubbing alcohol before you use them in order to prevent the possible spread of diseases in between plants. This is especially true if you’re also pruning several plants in your garden. During the first two years, leave 3 to 5 strong and evenly spaced branches on the tree. Cut the rest of the branches up to the trunk. After pruning, your tamarind plant will require very little attention. Just take time to cut those dead and week branches at least once a year in order to allow enough airflow. Mulching is necessary to keep your tamarind plant healthy. When mulching, spread a layer of mulch that’s about 4 to 5 inches thick during spring. 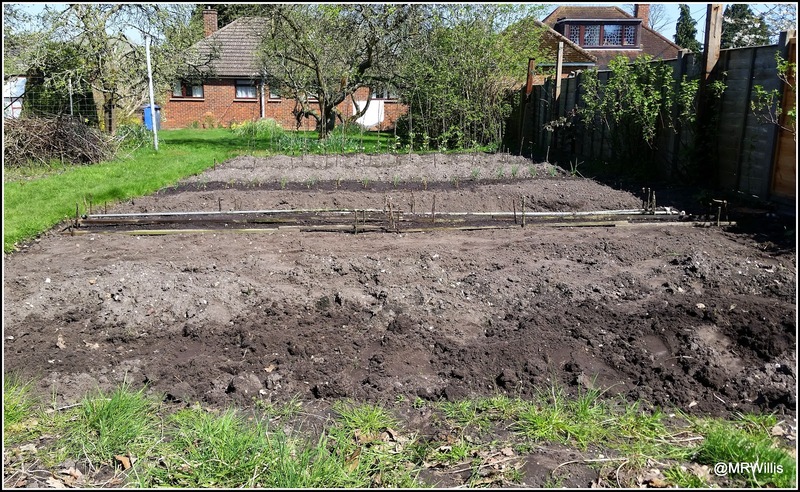 Mulching helps to keep the roots protected and prevent weeds from growing. Above all, mulching helps to keep the soil moist, similar to the natural forest floor. Part of the tamarind tree care tips is learning how to protect the tree from pests and diseases. Like most trees, your tamarind tree is also susceptible to pests. Among the pests that could attack your tamarind plant are aphids and fruit borers. The tree is also prone to diseases, such as root rot, leaf spot, and sooty mold. So now you know the steps on how to grow tamarind tree from seed. But have you ever wondered about its uses? 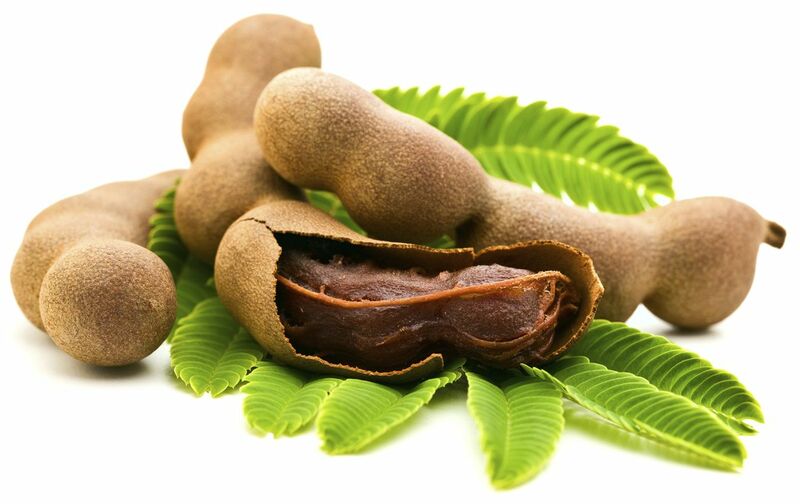 The fruits of the tamarind plant can actually be used in various ways. In most South Asian countries, the tamarind pulp is used as one of the ingredients in delicious cuisines. Furthermore, the pulp of the tamarind is also made into juices, beverages, sauces, jams, and syrups. Aside from being used for food, tamarind is also used for medicinal purposes. A partially dried tamarind fruit is often used to make various medicines. Some people also take tamarind to cure constipation, gallbladder problems, stomach disorders, and liver problems. It’s also used to treat minor illnesses such as fever and cold. With the many uses of tamarind, growing a tamarind plant in your backyard certainly come with so many benefits. Although most tamarind plants grown from seeds would not produce fruits until after 6 to 7 years, the wait is really worth it. However, if you cannot wait that long for your tamarind plant to produce fruits, consider growing the plant from cutting or purchase a young tamarind plant from your local nursery.